End of Love is a New York City band about to release its debut album, Ghosts On The Radio. The band first came together a little over ten years ago as a trio, but after a few years, the members drifted apart. Now End of Love is back with an expanded lineup which features drummer Jody Stephens (Big Star, Golden Smog and others) and guitarist Nels Cline (Wilco, the Nels Cline Singers and more). 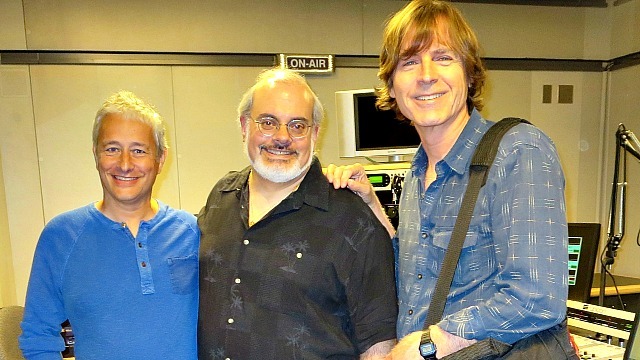 I recently welcomed one of the original members of End of Love, Irwin Menken (who has also played bass with Lee Ranaldo, formerly of Sonic Youth), and the legendary beat of Big Star, Jody Stephens, to the WFUV studios to talk new music and classic power pop.